It’s grey, it’s raining but these kids don’t care. 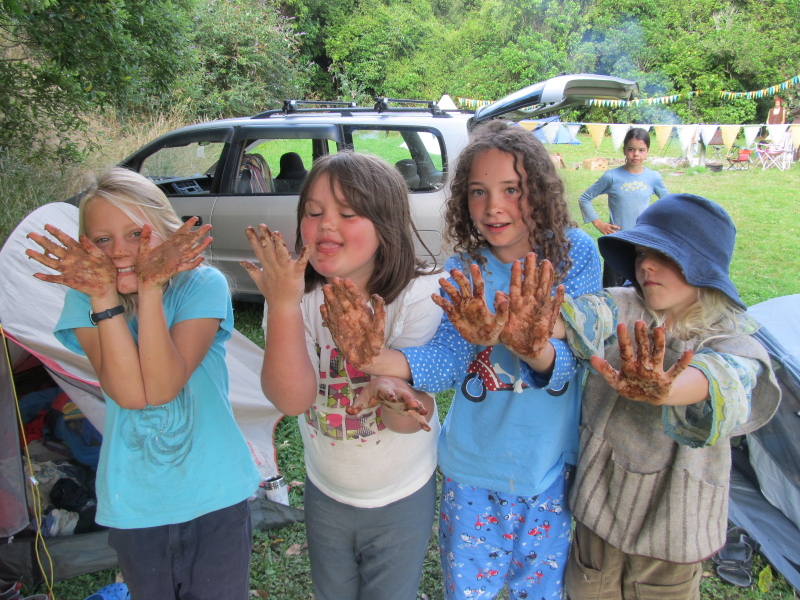 They are excited to be outside, exploring and taking part in the launch of the Toyota Kiwi Guardians programme. The challenge for parents is to balance a child’s digital and physical worlds. To help kiwi families keep track of green and screen time this summer, DOC has produced a simple fun colouring chart. 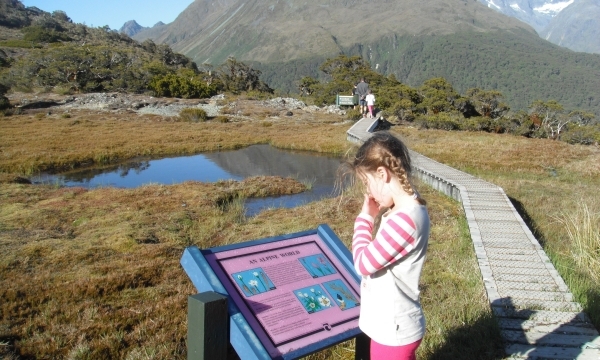 Olivia is 9 years old and lives in the Fiordland area. 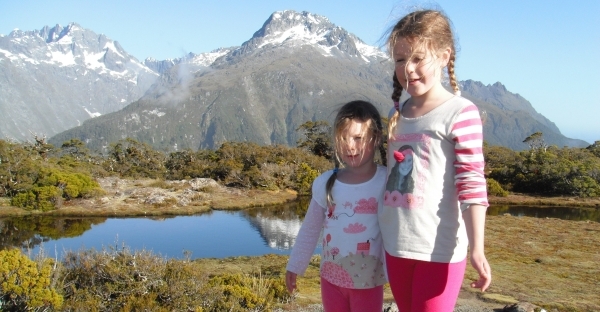 She writes about her recent trip to the Lake Howden Hut on the Routeburn Track. I liked going to stay at Lake Howden Hut. On the walk up the hill there were lots of water falls and big rocks. 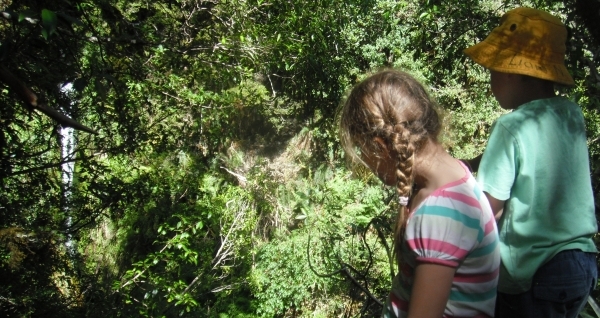 We had a drink of the water, saw a kaka bird and had a close look at the ferns. Some big trees were over the track that we had to go under like a tunnel. At the hut there was a lot to do. We played in the lake and made a dam so we could have a pool, but the water was too cold. We found big rocks to climb and a stage to do our gymnastics and ballet on. We had pasta for dinner, then milo and chocolate biscuits for supper. We played cards before going to bed. We all wanted the top bunks but there were plenty of them so there were no fights. We played with our torches and in our sleeping bags, it was fun with everyone there. The next day we walked to Key Summit, it was amazing. It is a beautiful place, even the climb up was ok! But my legs did get a bit sore. Learning about the alpine environment. There was information on the different plants. Liam, my brother, was our tour guide and led the way around the track. We went across bogs, around tarns and up to the top. On the way home it was all downhill. We talked about the next track we wanted to do, maybe the Kepler or Hollyford Track? What track will we conquer next? 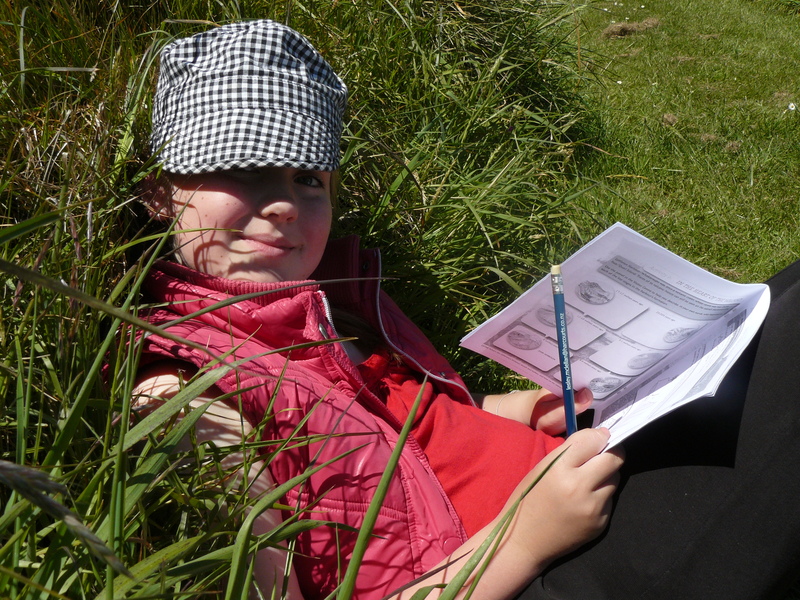 Last week, while out with DOC’s Manawatu Area team, I met a young girl named Hannah. 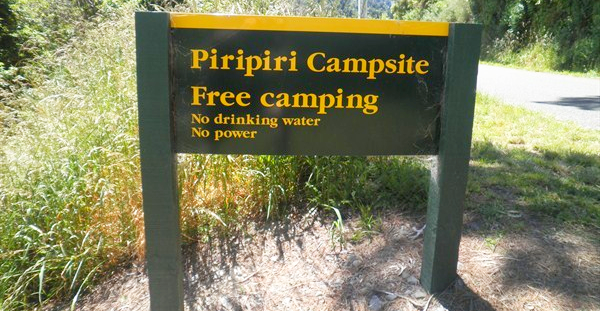 She had planned and arranged a camping trip for her group of friends and they were camping at Piripiri, a free DOC campsite, along the Pohangina River. Along with a little bit of help from her mum she had organised the camping trip. She had developed invitations, food plans, budgets, travel plans, sleeping plans and more. To make it happen they allowed one adult to come, purely for health and safety reasons! 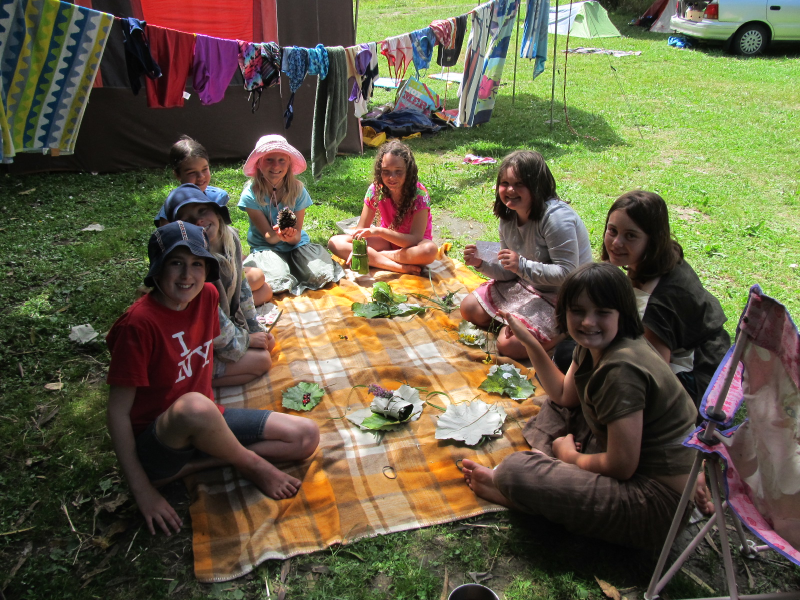 But the adult’s attendance (in the form of Hannah’s mother) came with rules – she had to sleep in her own tent ‘outside’ of the campsite territory, which was marked with colourful bunting spread amongst the trees. 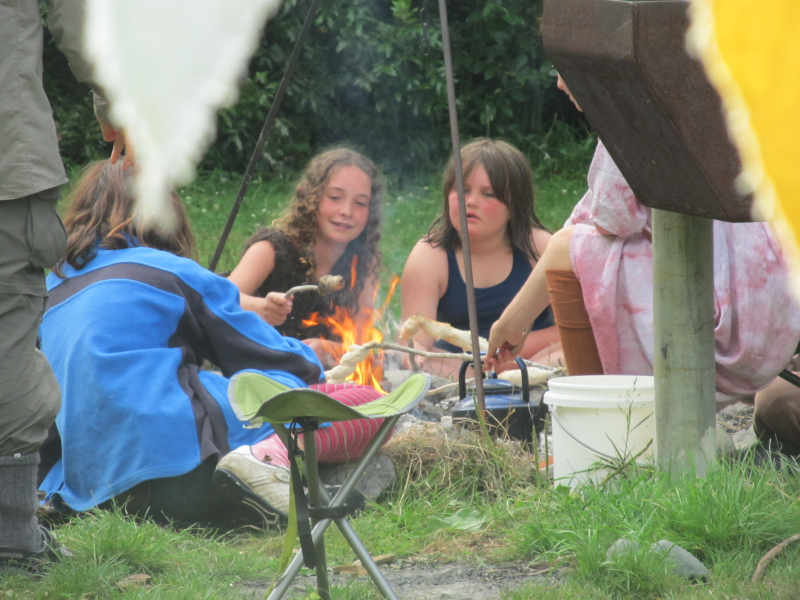 The campsite was so lovely – a young girl’s dream – nature as the backdrop, colourful bunting, tents, friends and lots of giggling. Hannah’s mum was allowed to accompany them to the river where they swam (beautiful swimming spot), jumped off a ledge and had a fabulous time. I went and had a chat to them and they were all so happy – creating their childhood memories. Kiwi: the real story made it onto the Listener’s 50 Best Children’s Books of 2012 list, and it’s not hard to see why. 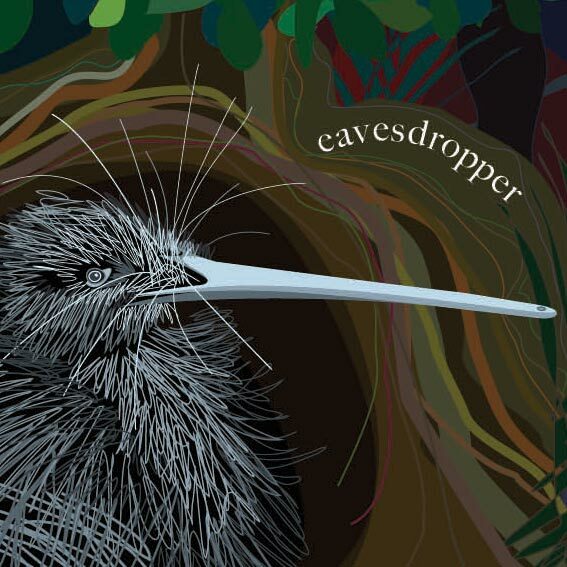 The combination of verse, factual text and beautifully luminous pictures, offers a spellbinding glimpse into the secret night-world of our amazing iconic kiwi bird. 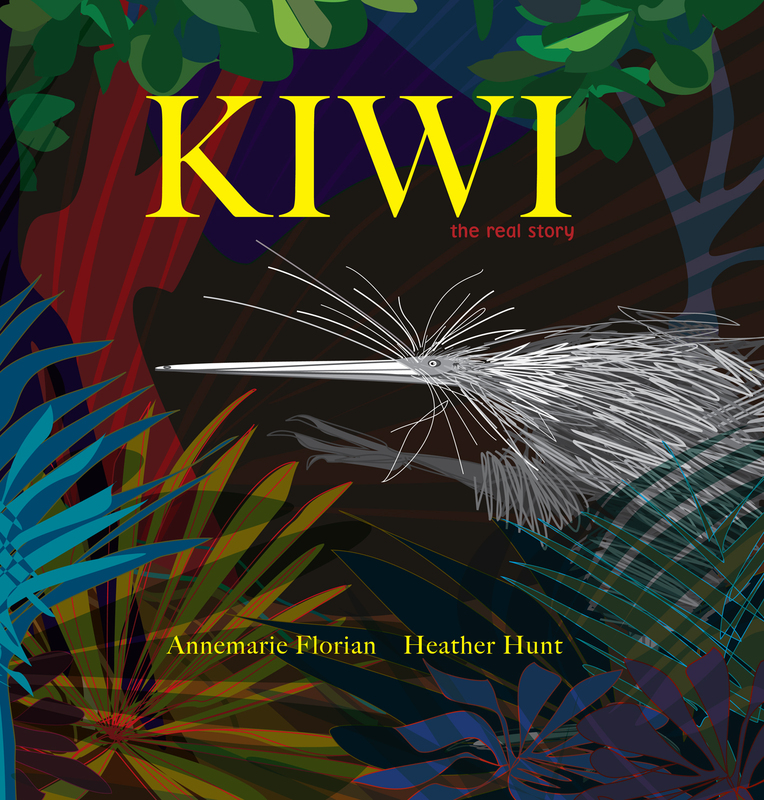 Kiwi: the real story would be an amazing Christmas present for any lucky kiwi kid and, thanks to New Holland Publishers, we’ve got three copies to give away here on the Conservation Blog. To be in to win a copy, leave a comment on this post before 12 noon, Thursday 20 December 2012, telling us why you want the book. Three winners will be selected at random and contacted by email. The giveaway is open to everyone, except employees of the Department of Conservation, New Holland Publishers, and their immediate families; however, we can only ship to New Zealand addresses. Kiwi: the real story is valued at $29.99 and will be available from good bookstores nationwide. 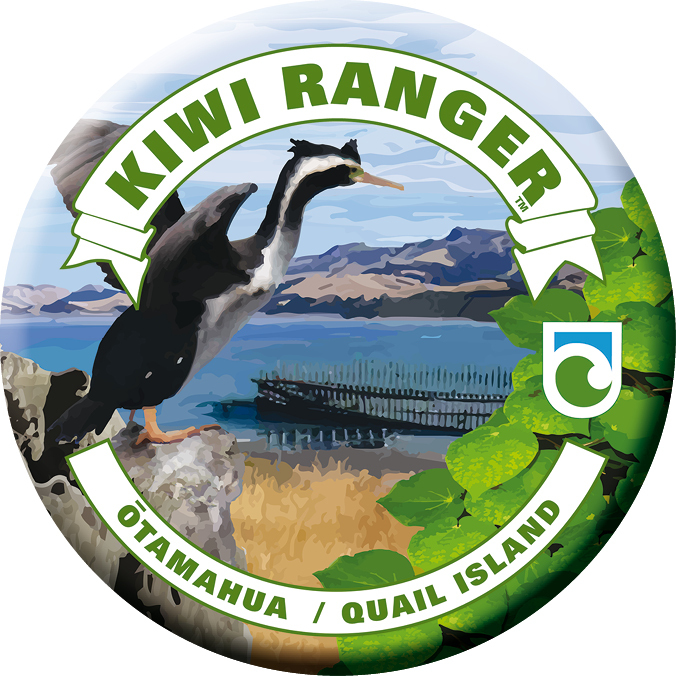 The newest Kiwi Ranger site is Ōtamahua/Quail Island near Christchurch – the first island site and the first Kiwi Ranger site close to a city. It’s a perfect place for families to make memories together. The author Sarah, as a leggy 13-year-old in the Kaimanawas. My own strongest childhood memories are all of experiences in nature, thanks to my father who took me to lots of wild places. I have memories of walking behind him holding onto his pack as we balanced across a log bridge; of playing explorers by wading down a stream in the Kaimais, collecting tadpoles and waving toi toi flags. As a teenager he took me on wilder tramps, where we camped under tent flies and saw no one else for days on end. These memories and experiences were a huge influence on the adult I am today, someone who works for DOC because I believe in the work we do. I’m trying to do the same for my own kids – but in this increasingly urban and tech-driven world it’s getting pretty hard. There are less “wild places” in cities. I’m competing with the TV, the computer, gaming devices, for their attention – and not always winning. There is growing evidence that children are increasingly disconnected from that natural world. International surveys show that fewer children are experiencing nature directly, with many playing indoors rather than out. Research also shows that childhood experiences with nature plays a critical role in determining life attitudes, knowledge and behaviours towards the environment. I know that’s true for me. But how do we help families that may be disconnected from these opportunities, or who may not have had the same influences in their own lives, get reconnected? Kiwi Ranger is one way. It’s a network of experiential interpretation sites, designed to help families connect with key conservation places. At its core is a booklet of activities and a badge to collect each unique to each site, similar to the highly successful Junior Ranger in USA. Each booklet acts like a guide to experiencing our wild places, some of which are a bit daunting to families visiting for the first time. It helps them to stop and take a closer look, to make the most of their visit, so its not just a nice walk, but an experience worth remembering and treasuring. So far it’s only in the South Island – but North Island sites are coming on board next year. 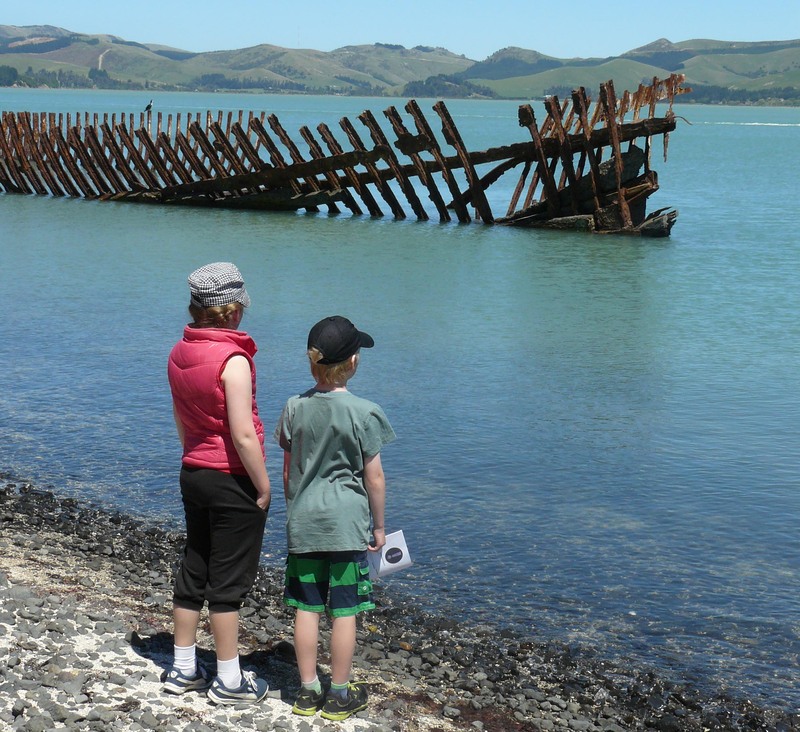 On Sunday 9 December we are launching Ōtamahua / Quail Island. My son William and his friend Maddie helped trial the booklet and will be getting their badges presented to them in a special ceremony. We will have a sausage sizzle on the beach and we hope lots of other families will come along and become Kiwi Rangers too. I’m hoping this will be an experience they will remember. 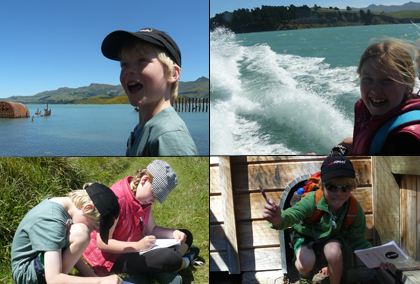 P.S – The Ōtamahua / Quail Island Kiwi Ranger booklet can be picked up from Black Cat Ferries, the Lyttelton i-SITE or from the Mahaanui Area DOC Office in Sockburn. Return your completed booklet to the any of the three locations above to claim your badge!